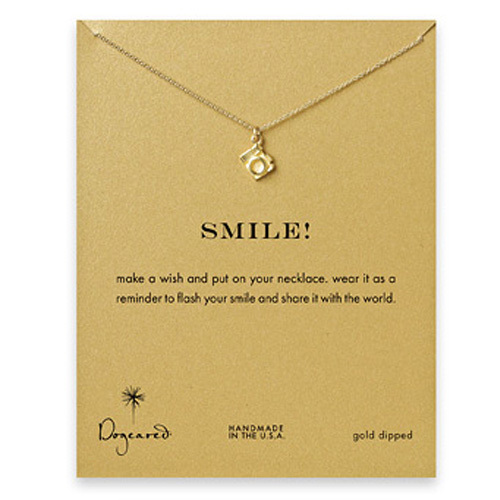 Dogeared Smile Reminder Necklace with a card message. Card message: Make a wish and put on your necklace. Wear it as a reminder to flash your smile and share it with the world. 16" sterling silver chain. 8mm sterling silver camera charm.